What if Greece was in Africa? I ended last week’s blog with a call for the rejection of the economics of the mainstream. Last week the Greek people voted resoundingly against the conditions of austerity imposed by creditors. Democracy spoke loudly with the ‘no’ vote in the referendum, and it was the younger generation who came in behind Prime Minister Alexis Tsipras. Yet in a rollercoaster week the Syriza government reversed its principled rejection of the measures, and proposed a draconian if pragmatic alternative. This in turn was rejected by hardliners in Europe, isolating Greece and forcing a ‘deal’ (see #Thisisacoup). Some have asked what can Africa learn from Greece? ; in this blog I argue that Greece (and others) can learn a lot from African experience. Debt is on the rise again not just in Greece, but across the world. A decline in commodity prices with a strengthening of the US dollar makes debt unsustainable in many economies, with rising proportions of government revenues being spent on debt servicing and debt accounting for higher and higher proportions of total GDP. The extremes of Greece are rare, whose debt had risen to some 178 per cent of GDP, probably more now as its economy has crashed, but the signs are ominous. 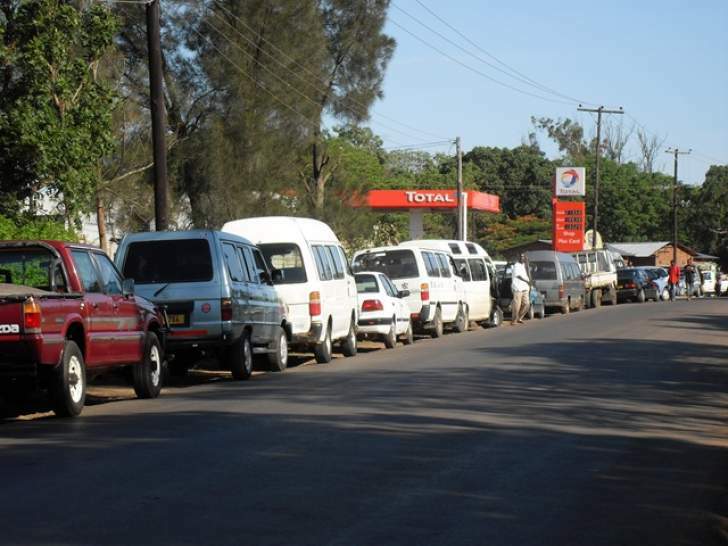 Zimbabwe has a massive external debt, amounting to 40 per cent of GDP, while other countries in the region, such as Mozambique and Tanzania, are racking up debt to fuel growth. But, as a timely new report from the Jubilee debt campaign shows, such growth masks growing inequalities, huge liabilities linked to ‘public private partnership’ deals, and a debt servicing requirement that will squeeze public expenditure for years. Is this a return to the 1980s and 1990s, when many countries across Africa – like Greece today – were saddled with unsustainable debt and forced by their creditors to take the unpalatable medicine of austerity packages imposed by the International Finance Institutions? Can lessons for Greece and debt vulnerable nations in Africa be learned from this period and its aftermath? I think so. The new Greek finance minister, Euclid Tsakalotos, knows a thing or two about this. An MPhil graduate of the IDS at Sussex in the 1980s (before my time), he later published a paper in the Journal of Development Studies in 1994 on ‘the scope and limits of financial liberalisation in developing countries’, and a paper in the Cambridge Journal of Economics arguing for a commitment to values in economics. He comes from a different branch of economics to the mainstream, and like his predecessor has run up against the hawkish positions of the German government, the IMF and others. In Africa of course, IMF/World Bank austerity measures were not put to a popular vote in the 1980s and 1990s. Like in Greece, they would I am sure have been roundly rejected. Governments of all political persuasions were instead bullied into compliance with drastic structural adjustment measures. Zimbabwe abandoned its measured ‘growth with equity’ strategy in 1991 in favour of the notorious ESAP policy (known locally as ‘Economic Suffering for African Peoples’, alongside many other versions of the acronym). We know the consequences of this disastrous period, both economically and politically, as I have commented before. But what if structural adjustment (aka austerity) across Africa had been replaced by a more balanced debt restructuring, encouraging investment alongside reform, while protecting basic services and the vulnerable? What if the enforced liberalisation of markets had been more managed, and the predatory capitalism that often took over more restrained? What if there had been more accountability in such liberalisation processes, would there have been less venal corruption taking over? What if governments across Africa had not lost core capacities due to structural adjustment measures, would there have been more extension services, clinics and schools, with benefits for agriculture, health and education, and so less poverty and inequality? What if debts had been released, so that investments in development could take place, rather than channelling revenues into debt servicing? These are lots of big ‘what ifs?’, but the damage imposed has been long-lasting: not only on economies and the lost decades of low growth, but also directly on people; on those who missed out on an education, and with the decimation of health services, the impact of the HIV/AIDS epidemic unfolding across the continent at the same time was much, much worse. Of course lessons have been learned and in some quarters the ‘Washington Consensus’ of those years has been rejected. In the 2000s, the Highly Indebted Poor Countries (HIPC) debt release deals were linked to a focus on poverty reduction, and for some countries in Africa it had a positive effect – even if this was only temporary. Escaping debilitating debt while promoting both growth and social justice is possible, however. This was the deal struck following the end of the Second World War in Europe. Greece indeed was one of the parties that signed the agreement to cancel German debt, and allow it to grow successfully after its decimation by war. The London Conference of 1953 was a key moment for Europe, sadly not being repeated in Brussels this past weekend. Germany is a nation that has come to terms with its history, but clearly not this particular detail. The aggressive rejection of Greece’s plight, runs against these wider lessons. Structural debt, imposed through a range of forces, never wholly the fault of the countries concerned, requires radical solutions, and not just an imposition of austerity and suffering. Yet, as with Africa a few decades ago, Greece’s creditors continue to reject a long-term solution, and seem intent on humiliation, teaching a wayward country a lesson. The rhetoric of those involved is shocking. A few weeks back, the head of the IMF, Christine Lagarde, called for dialogue ‘with adults in the room’. African negotiators will recall the way the international institutions humiliated, demeaned and infantalised, rejecting pleas for a more balanced way forward. They will have much sympathy with the Greeks today. On resigning his post, Yanis Varoufakis, the former Greek finance minister, argued, “yes to a proper resolution – to an agreement that involves debt restructuring, less austerity, redistribution in favour of the needy, and real reforms”. Despite the arguments of many economists from around the world, this path has it seems been rejected, and Greece, and Europe, will suffer. But what of Africa? Africa is now beyond the structural adjustment period, the Washington consensus has been diluted, and there are new players, and new ideas, on the scene. Unlike Greece, African countries are not so behoven to a dominating power such as Germany, and less tied to a particular regional economic and political ‘project’. This is a good thing. Today, across Africa new perspectives are on the table, and not just the tired, old, failed medicine from the IMF and others. Most notably new ideas, and finance, are coming from China, Brazil, India, Malaysia and South Korea, among others. A new state-led developmentalism is the flavour of the day. In Rwanda or Ethiopia a new African formulation of a ‘developmental state’ is being forged. Others too are interested, including maybe Zimbabwe. Like Paul Kagame and the late Meles Zenawi, Emmerson Mnangagwa draws insights and experience from the ‘emerging nations’, and notably China. Later this week, government representatives from across the world assemble in in Addis to discuss a financing for development, in advance of the signing of the UN Sustainable Development Goals in September. The conference document is full of high-sounding words, but the debates are framed in a very different way to those of the 1980s and 1990s. Sustainable finance, patient capital, long-term investment, balancing productivity with social protection are the watchwords. Much more Keynes than Friedman, and a focus on long-term sustainable development, not short, sharp shock treatment according to ideological disciplining and subjugation. The UN discussions in Addis of course only touch on a small element of the wider picture. Financing from the BRICS are barely mentioned in the documents, yet the BRICS bank, the Asian Infrastructure and Investment Bank and the Chinese or Brazilian state investment banks are increasingly important players, as well as of course huge private investment flows, as global capital restructures with Africa firmly in its sights. Balancing these investments, offsetting risks and avoiding unsustainable debt will be a tricky balancing act for all African governments in the coming years, as commodity-led growth tails off. Greece, as well as many countries in Africa, have suffered the long-term consequences of a combination of structural underdevelopment, oligarchic corruption and patrimonialism and poor economic governance. Finding a way out of the bind without succumbing to more pain and suffering will be tough, requiring new ideas and new allies. For nearly two decades, from the World Bank’s Berg report of 1981 onwards, Africa suffered the consequences of structural adjustment – or more kindly economic reform – at the behest of the international finance institutions. The consequences were devastating for employment, livelihoods and state capacity. But the neoliberal medicine did not work. There was a period in the 1990s when there were all sorts of arcane debates on why. Was it the imbalance of economic measures, was it the timing and sequencing, was it the lack of political will to implement properly? But in the end most agree that it was a disastrous period, the consequences of which are still being felt. These consequences include the massive undermining of state capacity, including health services, agricultural research and extension and more, along with the loss of a generation of potential. The recent shocking impacts of the Ebola outbreak in West Africa can be in part related to these long-term effects of systematic underdevelopment – what some call ‘structural violence’. In Zimbabwe, the Mugabe government abandoned its post-Independence ‘growth with equity’ strategy for one modelled on the designs of the World Bank and the IMF in 1991. The Economic Structural Adjustment Programme (ESAP – also known as ‘economic suffering for African peoples’, and many other plays on the same) was rolled out through the 1990s. It presaged the unrest that provoked the labour movement and war veteran mobilisations in the latter part of the decade, and was of course the backdrop for the land reform from 2000. Of course some benefit from such neoliberal economic reforms. Despite the high-flown rhetoric, the Mugabe government did not push for land reform or other redistributions in the 1990s. Instead elites accumulated, corruption extended and a new politics emerged. In this period large-scale, mostly white-owned (but also now incorporating some of the new black elite) farming and other businesses profited. In agriculture, high value farming operations boomed, seeking profits in export markets as part of the new, competitive neoliberal order. In some ways, it was a great success. But in many ways a troublesome anomaly, as the benefits were not widely shared, and the festering discontents around land distribution, unresolved from the colonial period, continued unaddressed. So what has this all to do with Greece? A week ago a new party, Syriza, dramatically came to power in Greece committed to ending the structural reforms imposed by the European Union, and Germany in particular, but also committing to tackle the deep corruption and oligarchic elitism that had come to characterise Greek political economy. The rise of Syriza has sent shockwaves through Europe with its rejection of the status quo, and the deep inequities of the ‘austerity packages’ imposed, what have been described by the new finance minister, Yanis Varoufakis, as “fiscal waterboarding” that had turned Greece into a “debt colony” (see excerpts from his book via this link). Africans have been subjected to what many feel is a sustained, brutal and unnecessarily destructive attack on their basic living standards, way of life and national independence. If a country is invaded and occupied by hostile forces, it might expect to lose its freedom and its voice. But the subjugation of Africa, in the name of fiscal responsibility, debt reduction and structural reform, was undertaken by so-called friendly powers, principally, [western donors, the World Bank and the IMF[…[A]usterity is not working, either, as a group of leading economists noted… “The historical evidence demonstrates the futility and dangers of imposing unsustainable debt and repayment conditions on debtor countries [and] the negative impact of austerity policies on weakening economies… Debt should be cancelled”. In the 1990s the global policy elite and the international commentariat, let alone ‘leading economists’, did not offer such a perspective on Africa. Partly Africa was far away and had less influence on the West than even Greece, but also the ‘historical evidence’ – mostly resulting from the failed experiments in Africa, post-Soviet Russia and elsewhere – had not been learned. And of course in Africa, where emergent democracies were being controlled through the same route as their economies via programmes of ‘good governance’, the prospects for an insurgent, popular, progressive, alternative politics, as has emerged in Greece (and maybe Spain too), was not feasible. Through the 1990s, in Zimbabwe and elsewhere, political and business elites were quite happy to build their wealth and power on the back of austerity and ‘reform’, with inequality and deepening structural poverty growing with this. The Greek Syrzia moment perhaps has some parallels with Zimbabwe in 2000. The challenges will be similar: the prospects of diplomatic isolation, capital withdrawal, external pressure to conform and political tensions regionally, but equally the need to compromise, manage change and seek an alternative, while offsetting corruption, political division and social conflict that threaten a more humane, redistributive growth path. 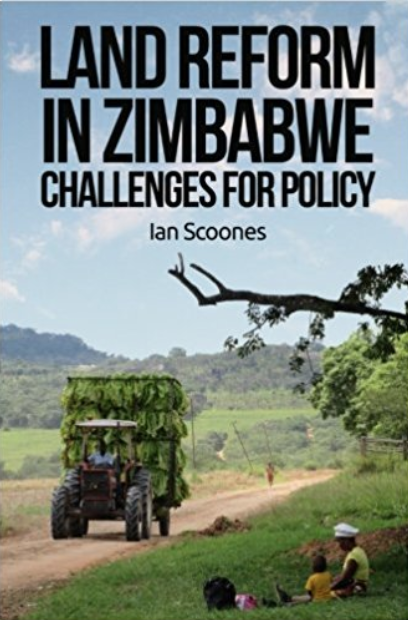 In the past 15 years, Zimbabwe has sought an alternative political-economic trajectory, breaking some of the shackles of the past; but it has also failed dramatically to address other challenges, with the consequence that the economy continues to languish, corruption has extended even further, growth has failed to take off and the benefits of redistributive policy remain to be realised. Let’s hope the Syriza coalition fares better. Perhaps in the future Athens, rather than Washington, will be able to send economic advisers to Africa.